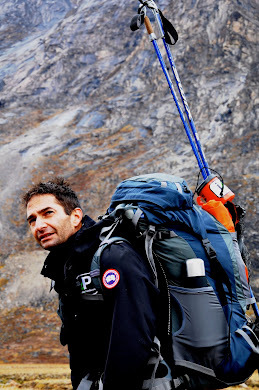 Ray Zahab is one of these guys that you meet, and you hear his story and you think to yourself: "But... he seems so ordinary, like me - and yet, what he is doing is extraordinary!" And he gives you permission to believe that YOU TOO can do the extraordinary. 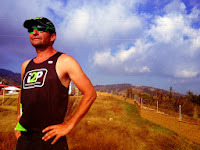 Following his pivotal experience of running 7500km across the Sahara Desert in 2006 (an achievement featured in the documentary: Running the Sahara), Ray founded impossible2Possible (i2P)in order to Inspire, Educate and Empower youth to make positive change in the world. I am thrilled that Ray took the time from his extremely busy schedule to respond to my invitation to participate in *the gratitude project: dare to be grateful*. (In fact, he sent his responses from Rome, Italy, where he was delivering yet another inspirational talk at a TED Conference.) Thanks so much Ray! What PERSONAL QUALITY are you most grateful for, and why? I am grateful for the willingness to continue learning - for the desire to learn from others and their experiences! What FAILURE are you most grateful for, and why? 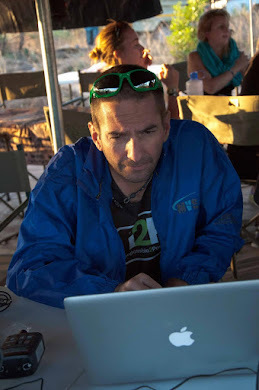 I am most grateful to have DNF'ed at a major ultramarathon many years ago. It taught me not to underestimate a challenge - not to think for one minute that I have everything figured out! What LIFE EXPERIENCE are you most grateful for, and why? I am most grateful for two things. 1. meeting my wife. 2. 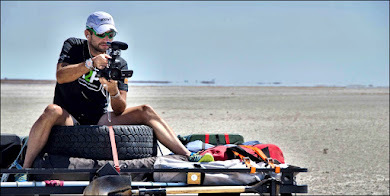 Running 7500km across the Sahara and learning that we totally underestimate what we as humans are capable of. We all have the capacity to do amazing things in our lives... and never stop learning in the process. It depends on what I'm training for. I like to tell people that I train specifically. 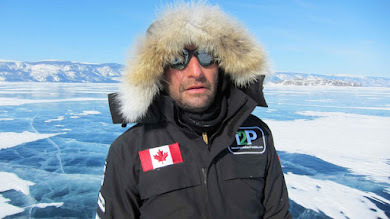 I take an entire year and I dedicate it to an expedition I'm training towards. For me max volume is somewhere between 100k and 180k per week, but most of my training is speed work, interval workouts and up-tempo runs. I do occasional long, slow runs but they are more social – I like to do them with my friends. What's your top training tip? I have three. Number one, set a goal. If you have a goal then you'll train for it. Number two, prepare yourself with a really good programme. You want to train with quality not quantity. Number three, include conditional strength training in any preparation programme – it's so important. What are you doing in Britain? The Royal Parks Foundation Ultra, sponsored by inov-8. It's a great event and it gives people the opportunity to try out an ultra. I'm so busy with my foundation impossible2Possible that I do find it difficult to get away but this event sounds so cool that I decided to get involved. What advice would you give your 16-year-old self today? Believe in yourself. You really can do extraordinary things. I was never a natural athlete and back in the day I used to be a pack-a-day smoker, the whole nine yards. I can remember thinking that I'm not very sporty but – seeing what all these 16-year-olds do as part of my charity – I would just want to say: Don't underestimate yourself'. What put you on the path to who you are today? I was 30. I had barely made it out of high school and I dropped out of community college. I had no idea what I was going to do with the rest of my life and I just sat wondering what my life was about. My younger brother was a great inspiration to me because he is the athlete of the family. I saw him doing all this cool stuff and I suddenly decided I wanted to try and live my life like him. It obviously took a few years for me to get my stuff together but that's how it started. Well for me it's the same as anything else. I start eating healthy but after a while I'll get bored and and go back to eating stuff like burgers (or, if it's the UK, bangers and mash). I try to eat as healthily as I can. I include lots of fruit and veg (all the normal things you usually hear) and try to avoid processed foods as much as possible. Healthy fats are incredibly important for long distance runners (olive oil and avocados are amazing) but I also believe that one day a week you should have whatever you want. That's the best way to break up the monotony. Potato chips – I could live off them. You’ve been offered a pill that will make you live forever. Do you take it? No. Life is meant to be explored, it is meant to be celebrated but what's more important than that is the fact I don't want to outlive my children. Camel spiders freak me out. Who would you most like to go for a beer with? 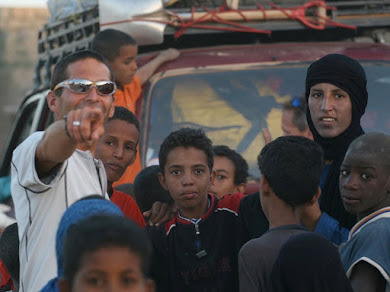 Muhammed, our expedition leader in the Sahara desert. He was such a great guy. My brother is my greatest hero because without his inspiration I would never have been able to achieve all the things I have done. "The elite distance runner goes to great lengths to inspire change and education through exploration"
Ray has been named one of Canadian Geographic's Change Makers! 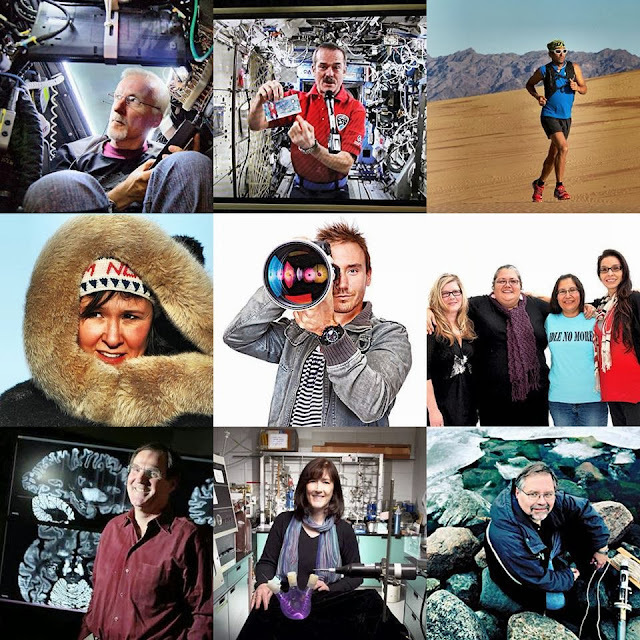 Click on the photo to read about all of these amazing Canadians!